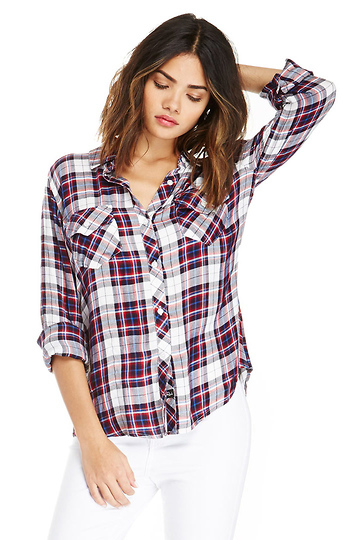 Casual wear at its finest is the super soft Carmen Plaid Button Down Shirt from Rails. This plaid number features a convertible collar, front button placket, long sleeves, flapped chest pockets, and a round hem. Complete your look with dark denim bell bottoms and a silver watch. Model Measurements: Height: 5’9.5 / Bust: 32B / Waist: 25 in. / Hip: 35 in.